A record number of mums, dads and little ones came out to enjoy the rhythmic styling of TapCo.’s youth ensemble at our March installment of ArtStarts on Saturday. Eight talented, young dancers shared four exciting pieces with the audience, taking time throughout to share bits of information on the history and technique of the dances. 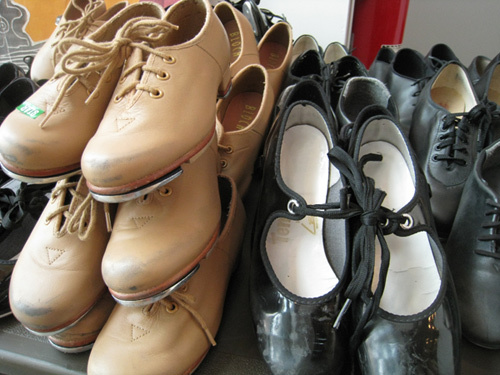 The audience also had the chance to don tap shoes kindly provided by TapCo. filling the gallery with the clickity clack of many feet, big and small, getting the hang of making rhythm with their feet. We all gained a new appreciation for the skill of TapCo.’s dancers who made it seem so easy! Many thanks to TapCo. 's and its dancers for sharing their love of this art form with all of us! Check out more photos in our Facebook album and while you're there, give us a Like! ArtStarts on Saturdays takes place on the last Saturday of every month. Check out past workshops here and be sure to join us on April 30th when DuffleBag Theatre joins us for a hilarious interactive performance. "This tap dance session was FANTASTIC! Thanks so much! My son was hesitant to come and is leaving wanting to sign up for lessons :)." "Thank you so much for offering this opportunity for children to learn a bit about tap dancing -- and supplying shoes as well!" 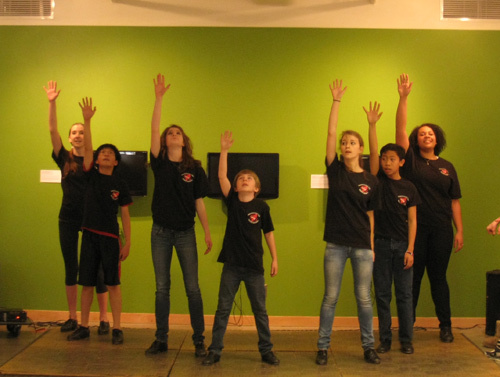 ArtStarts would like to thank Boeing for their generous support of the ArtStarts on Saturday series.